Riding isn't just about the ride - it's about the lifestyle. We get it. Which is why we've got you covered with a range of lifestyle Hoodies and T-shirts for every biker. 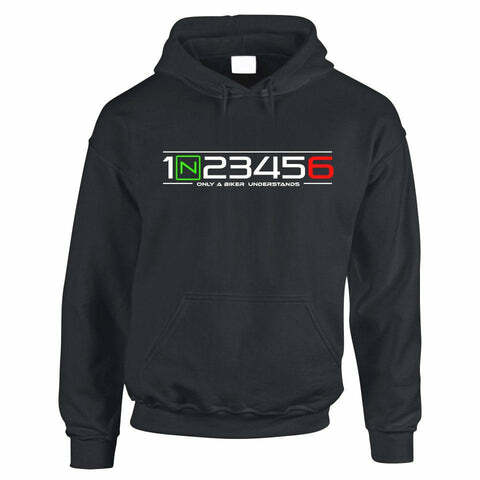 Get yourself a neat 1N23456 t-shirt to wear under your gear or grab an awesome gift for the rider in your life. The #1 hoodie for all real riders, the 'Only a biker would understand' hoodie is a must have piece of kit for anyone who loves the ride. A great option to pull over your jacket for those colder rides or wear it casually to let everyone know you're a biker.